Measuring and recording the motions, vibrations and inclination responses of a structure are important indicators for identifying how the structure is reacting to various loads and conditions. 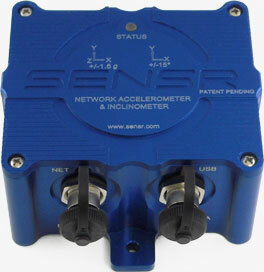 The CX1 Network Accelerometer / Inclinometer represents a new standard for fast, hassle-free monitoring. The Patent Pending CX1 combines 3 high performance accelerometers, 2 precision inclinometers, and direct network connectivity into one compact instrument.